The late Atlanta rap pioneer’s posthumous RICO album is due out March 24. On September 21, Shawty Lo passed away after a car crash in South Fulton County, Georgia. Following his death, the world mourned Shawty Lo's legacy as a founding member of D4L and pioneer Atlanta's inferential snap scene. To pay tribute to the late rapper, 300 Entertainment is releasing a posthumous album entitled RICO, which will arrive on March 24. Today, the label has released "My Love," the first single from the upcoming project. 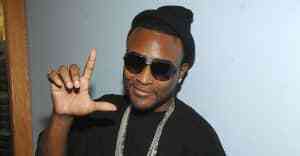 The album will feature cameos from Shawty Lo's children Quando and Keke, as well as Boosie Badazz, Ralo, and more. Watch a message from Shawty Lo's family above and listen to the posthumous single below.